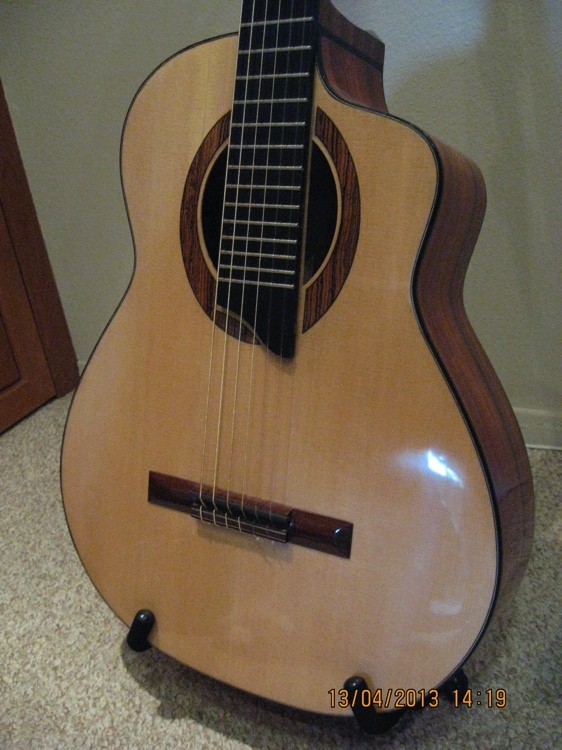 Classical baritones are typically tuned a 4th or a 5th lower than a regular guitar. Strings are available for these tunings. 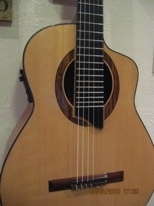 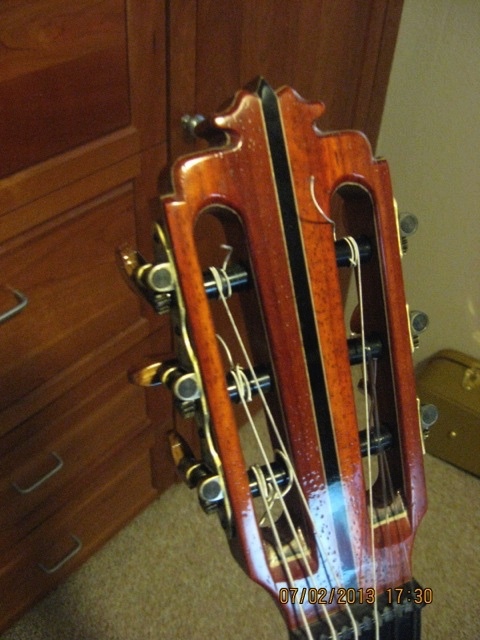 The individual strings have the same configuration as a regular guitar. 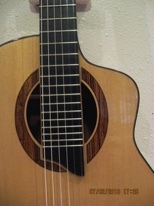 In other words the chord shapes stay the same. 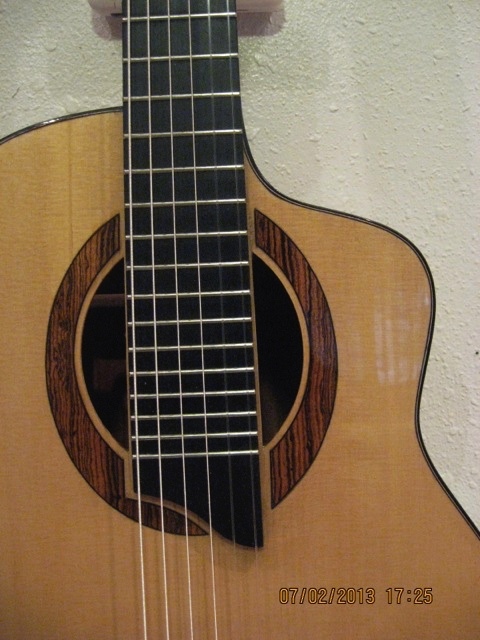 When tuned to “B” if you capo up to the 5th fret you are identical to your other guitars, although many guitarists tune baritones to suit themselves. 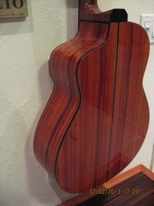 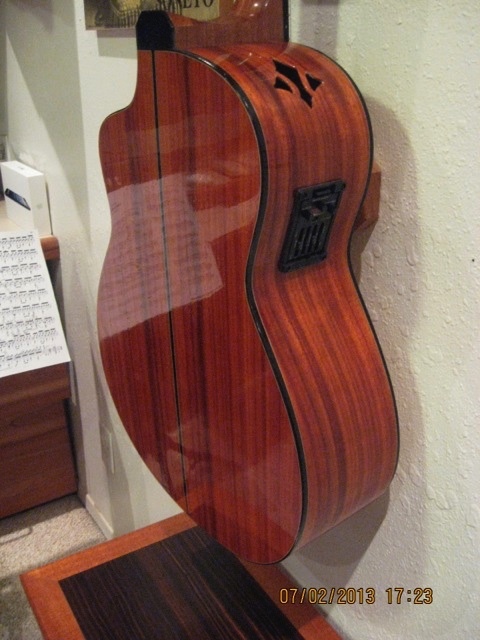 African Padouk Back/Sides ◊ Port Orford Cedar top ◊ Fishman Pro Blend ◊ 25 frets ◊ Ebony fretboard ◊ Hard case included. 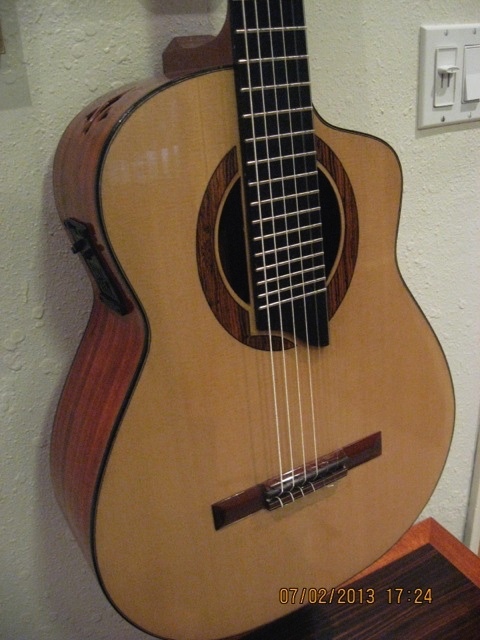 Very big sound, bright, exceptional sustain.